On October 28th Sanofi US announced that the company took the precautionary measure of voluntarily recalling ALL Auvi-Q® (epinephrine injection, USP) currently on the market and includes both the 0.15 mg and 0.3 mg strengths for hospitals, retailers and consumers. Sanofi US initiated the recall due to issues discovered during routine manufacturing quality review at a contract manufacturer. The products have been found to potentially have inaccurate dosage delivery, which may include failure to deliver drug. A thorough investigation will take some time. As a result, we are leveraging the Auvi-Q field sales team across the Sanofi US portfolio. Sanofi US is committed to patient safety. While your Auvi-Q sales professional has been redeployed please recognize resources and support remains in place for you and your patients. The website, http://www.Auvi-Q.comprovides updated information with regards to the recall. Moreover, questions about patient reimbursement for the purchase of an alternate epinephrine auto-injector, the return of existing Auvi-Q devices, and downloadable resources can be found on the website. 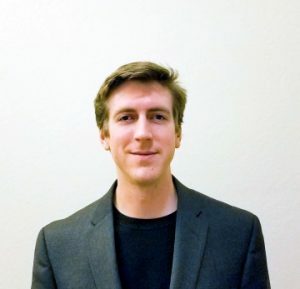 Also, questions can be addressed by calling either 1-877-319-8963 or 1-866-726-6340 during the hours of 8 a.m. – 8 p.m. ET, Monday through Friday. 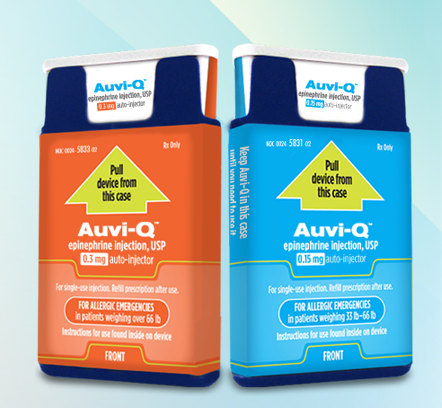 Auvi-Q® (epinephrine injection, USP) is indicated in the emergency treatment of allergic reactions (Type I) including anaphylaxis to allergens, idiopathic and exercise-induced anaphylaxis. 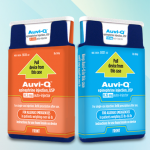 Auvi-Q is intended for individuals with a history of anaphylaxis or who are at risk for anaphylactic reactions. 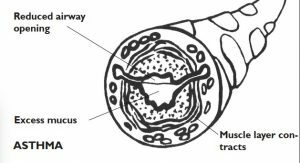 Auvi-Q should ONLY be injected into the anterolateral aspect of the thigh. DO NOT INJECT INTO BUTTOCK OR INTRAVENOUSLY. Epinephrine should be administered with caution to patients with certain heart diseases, and in patients who are on medications that may sensitize the heart to arrhythmias, because it may precipitate or aggravate angina pectoris and produce ventricular arrhythmias. Arrhythmias, including fatal ventricular fibrillation, have been reported in patients with underlying cardiac disease or taking cardiac glycosides or diuretics. Patients with certain medical conditions or who take certain medications for allergies, depression, thyroid disorders, diabetes, and hypertension, may be at greater risk for adverse reactions. Adverse reactions to epinephrine include anxiety, apprehensiveness, restlessness, tremor, weakness, dizziness, sweating, palpitations, pallor, nausea and vomiting, headache, and/or respiratory difficulties. 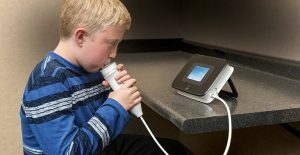 Auvi-Q is intended for immediate self-administration as emergency supportive therapy only and is not a substitute for immediate medical or hospital care. Please click here or see accompanying full Prescribing Information. Any adverse events that may be related to the use of these products should be reported either to Sanofi or to the FDA’s Med Watch Program. To report an adverse event to Sanofi US by phone at 1-800-633-1610, Option 2 or by fax at1-908-203- 7783. To report an adverse event to the FDA Med Watch Program by fax 1-800-FDA-0178, by mail at MedWatch, FDA, 5600 Fishers Lane, Rockville, MD 20852-9787 or on the MedWatch website at www.fda.gov/medwatch/report.htm. At Sanofi, we value our customers and sincerely regret any inconvenience this may have caused. We appreciate your cooperation and attention to this matter.